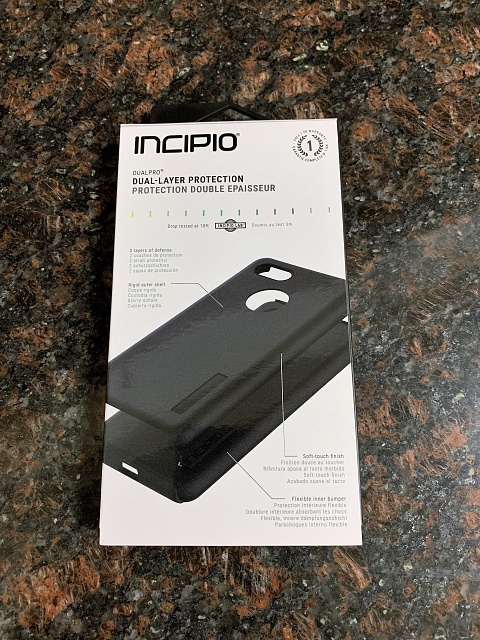 Incipio has been a trusted and reputable case manufacturer for a long time, and they also happen to be a personal favorite of mine. They have a wide variety of cases for just about every major device on the market, and you can depend on them to make solid products. I have reviewed quite a number of them over the past year or so, and I’m happy to say that this iteration of the DualPro holds up just as well as it’s predecessors. The two-piece setup is just as rock solid as ever, and the velvety smooth surface is still a treat to use! Wanna hear more? 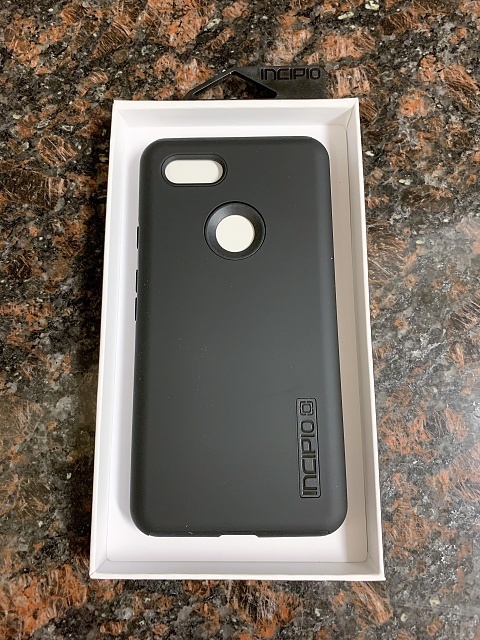 Let’s take a closer look at the Incipio DualPro for the Google Pixel 3XL. 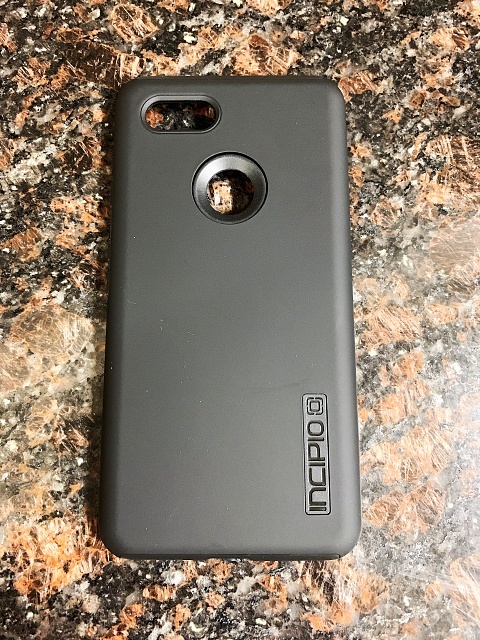 The Look: The first thing that you’re going to notice when you look at the DualPro case is its matte finish, and the well-placed Incipio brand name on the back of the case. This particular version comes in Black, and Iridescent Rose Gold and Gray, which both compliment the phone well. 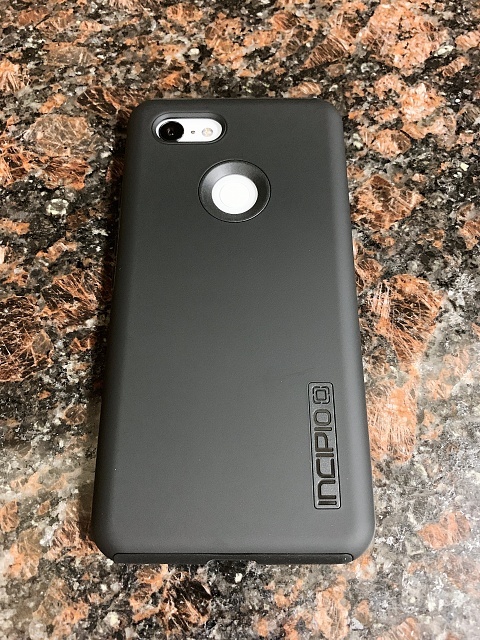 As the name implies, the DualPro case is made of dual-layers, which come in the form of a soft-shell TPU inner case, and a rugged and protective polycarbonate outer shell. One thing that will surprise you about this case is that even though it’s a two-piece case, you can hardly tell once it’s put together. The seams are so seamless that it appears to be one solid shell. Additionally, despite the fact that it’s a protective style case, it really comes in at more of a middle-weight to light heavyweight case, as far as heft is concerned. It has a svelte and smooth look to it! The Feel: One of the things I love the most about the DualPro case is the velvety smooth texture on the back of the polycarbonate shell. Even though it’s made from very sturdy polycarbonate, it has almost a faux-felt like texture to it that feels nice and isn’t slippery. I’m not really sure what kind of wizardry goes into designing these cases, but it’s definitely a luxurious and unique feel, that I haven’t experienced with any other case before. The buttons are solid and have excellent feedback, and the overall construction of the case feels solid. There are zero concerns in my mind that this phone case will stand the test of time. Security: Security is the number one feature for the DualPro. The DualPro has MIL-STD drop protection and carries a fantastic 10ft drop protection rating. Not only is it protective and designed from the ground up to keep your phone protected, it’s also not overly bulky. One thing that I bring up in pretty much every protective style case review is size. When it comes to protective-style cases, heft and bulk are the biggest issue that you typically have to deal with – not so with the DualPro! Incipio goes the extra mile in their design process and ensures that the DualPro is built like a tank but doesn’t look like one. 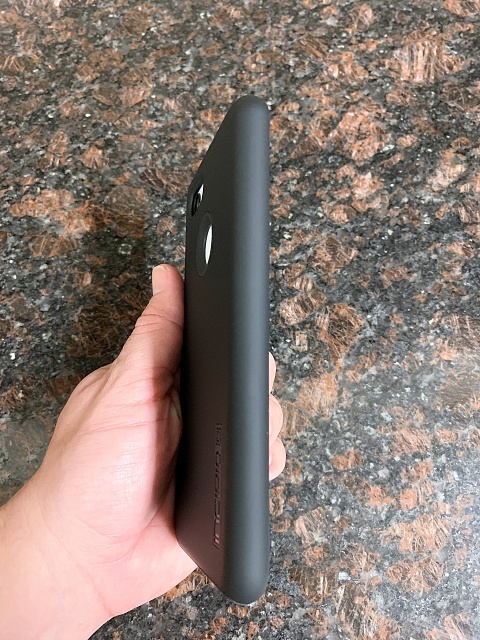 The case conforms well to the Pixel 3XL (which isn’t a small phone by any means) and does a great job of making sure that the form factor isn’t obscured too much or made overly bulky. 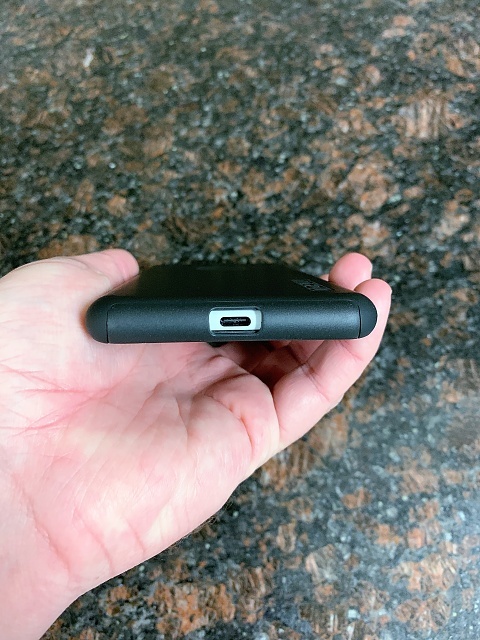 Last but not least, the DualPro has a raised bezel for added protection to the screen, and the wireless charging is still intact! 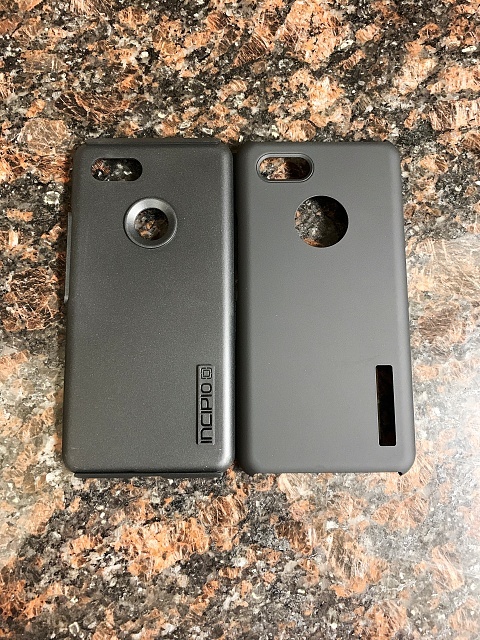 Conclusion: The DualPro is a solid option for the Pixel 3XL. It offers great protection, a one-year warranty and does a great job keeping your phone safe. Not only is the case safe from drops and slips, but the polycarbonate shell is great for protection from harder impacts as well. 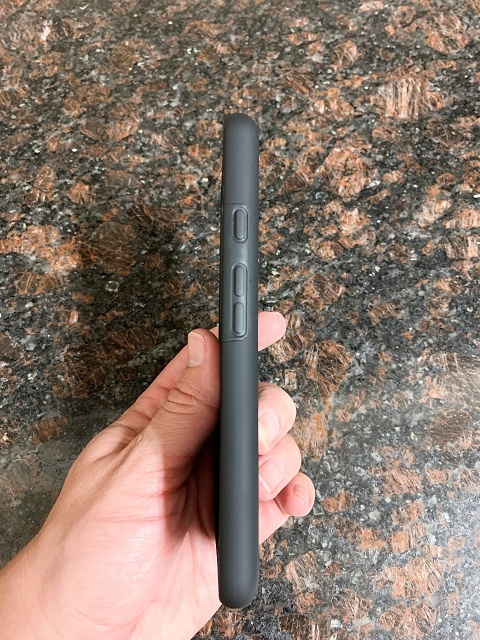 The all-around security of this device is spot on, and the 10ft of drop protection is about as good as it gets! The two-piece system really is novel these days, having been pushed to the wayside by most manufacturers in favor of solid unibody cases, but that doesn’t mean that it’s not a great design. 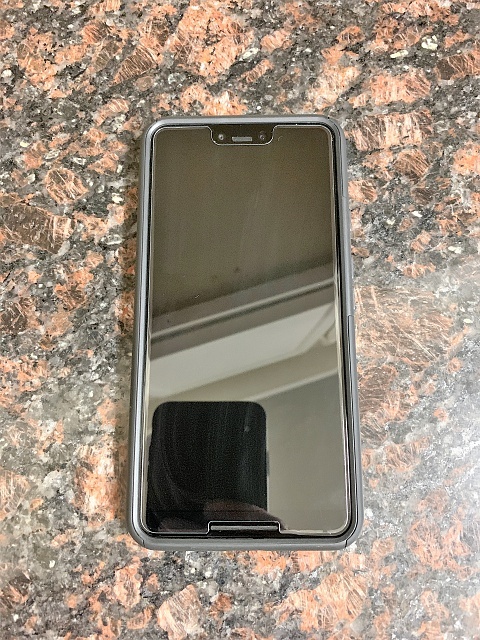 As the old saying goes “if it’s not broken, why fix it?” Clearly this design has been successful and worked well for quite a while now, and this ageless case has now found its way to the Pixel 3XL. Another great feature of this case is the price - $29.99! So… if you’re looking for something stylish, reliable and protective, then this is the case for you! 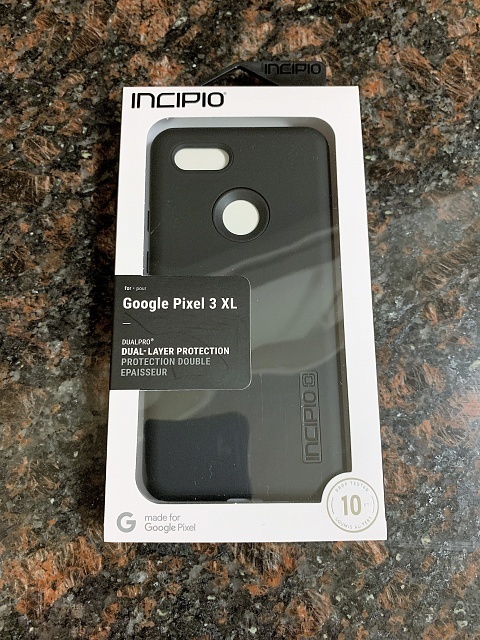 If you’re interested in picking up one of Incipio’s DualPro cases for your Pixel 3XL, you can find them over at Incipio’s website for $29.99 - https://forums.androidcentral.com/e?...token=oYfBQcLc - As always, if you have any questions or comments, feel free to leave them down in the comments section. Where did you make the most money on your PIxel 2 if you sold it? when i send pictures they show up magnified, so the receiver can't see them. Why pixel 3xl not have AI? When you toggle location off, does your phone go into vibrate mode and lower the ring vol setting? Is there an app game exactly like microsofts age of empires from the 90s pc game.